just a casual afternoon with friends at the beach. It's Cotton, so it's cool. Visor Bill better then other cotton yarns. Also handle lots of washings, well. R: 46 – Sc evenly down the side of the visor band, tie off weave in your ends. 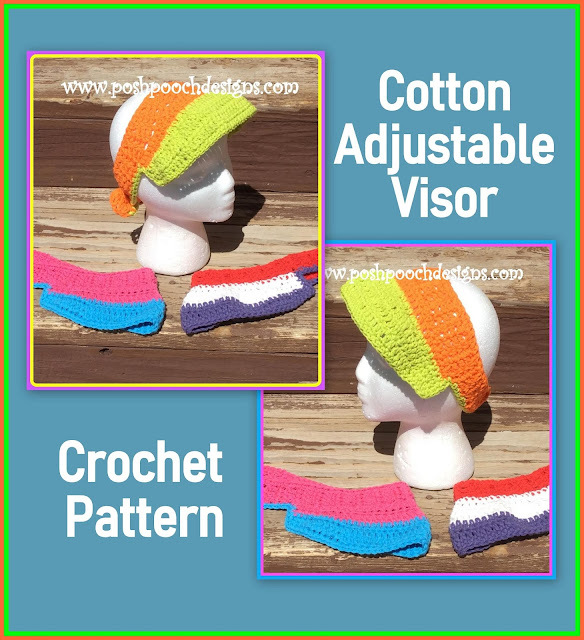 R: 47 – Join yarn to the side of 12th row of the other side of the visor band. R: 52 – Repeat R: 50, tie off, weave in your ends. Sc across the visor placing 1 sc in each st, sc evenly down the other edge of the band, Tie off leaving a 18 inch rail of yarn. and with a need and matching yarn sew securely in place. If you do not want to use D Rings, you can sew or tie the ends together.